Firefighter’s Day (Dzień Strażaka) is an official professional holiday in Poland. It is celebrated on May 4, coinciding with International Firefighters’ Day. International Firefighters’ Day (IFFD) was instituted in 1999 to honor the memory of five firefighters who tragically died in a large bush fire in Australia. The date of May 4 was chosen because on this day the Catholic church honors Saint Florian, the patron saint of firefighters. Florian was a commander in the Roman army who organized and led firefighting brigades. 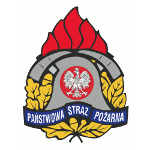 The Sejm of the Republic of Poland officially established Firefighter’s Day in 2002 to commemorate the tenth anniversary of the country’s State Fire Service. Interestingly, this day has a special meaning for many Poles, because Saint Florian isn’t just the patron of firefighters, he’s also considered the patron of Poland. Saint Florian was adopted as Poland’s patron saint in 1184, when some of his relics were sent from Austria to Krakow. Firefighter’s Day in Poland is the professional holiday of all members of both state and volunteer fire brigades. On this day, distinguished firefighters receive awards for their long-term and dedicated service. Another-long standing tradition is friendly competitions between state and volunteer fire units from different cities. Like most other observances established by the Sejm, Firefighter’s Day is not a day off unless it falls on a weekend.